January 14, 1976: Mowlana Hazar Imam addressed the Swiss-American Chamber of Commerce in Zurich on "The Role of Private Initiative in Developing Countries." February 15, 1976: Mowlana Hazar Imam and Begum Salimah visited Nairobi. February 16, 1976: Witnessed opening of Nairobi Serena Hotel by President Kenyatta. Hazar Imam said: "The sheer variety of Kenya's attractions have few equals anywhere." Later that day, visited the Aga Khan Hospital.. According to newspapers, made an important investment in East Africa. February 1976: Hazar Imam accompanied by Begum Salimah and Prince Amyn visited all four Jamat Khanas in Nairobi and blessed newly married couples. Also there was a visit to the Aga Khan Sports Pavilion. Hazar Imam announced the institution of an international prize for Muslim architecture on the lines of the Nobel Prize, to be adjudicated and awarded in Pakistan. February 24, 1976: Mowlana Hazar Imam addressed National Council of Culture and Arts at Karachi. In an impassioned speech, Hazar Imam said: "I fear the day when Islam will be our Faith, yet its outward manifestation in the buildings we work and live in, the works of art we behold and the music we listen to, will be dominated by foreign cultures ." Two years later, Hazar Imam established a Foundation called Aga Khan Awards. Hazar Imam also addressed the Karachi Press Club. February 29, 1976: Declared at Rotary Club, Karachi, the inauguration of Islamic Award for Architecture. March 2, 1976; Hazar Imam attended a banquet hosted by the Federation of Pakistan Chamber of Commerce & Industry in Karachi. March 7, 1976: Hazar Imam and Begum Salimah were guests at reception hosted for Shah of Iran who was on a visit to Pakistan. March 11, 1976: Hazar Imam addressed the members of the Pakistan Institute of International Affairs on the importance of regional organisations like the RCD. March 12, 1976: Gave Presidential address on Life of Holy Prophet (S.A.S.) at Seerat Conference, Karachi. March 13, 1976: Grand Darbar held at Karachi on last day of the visit. March 15, 1976: Hazar Imam said at a dinner in his honour by I.P.S. that people in the Northern Areas suffered from thyroid imbalances due to the use of rock salt, and that iodine-salt would provide the cure for this. He said that I.P.S. should look into putting up a plant for the production of iodine salt for the Northern Areas. 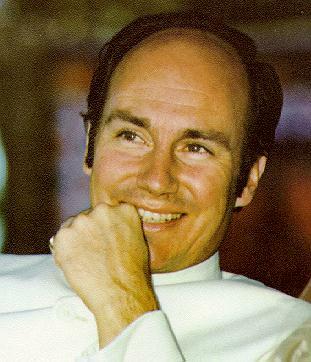 March 17, 1976: The foundation stone for the Karimabad Maternity Home was laid by His Royal Highness The Aga Khan on March 17, 1976. Its inauguration on 24th March, is another achievement in His Highness's endeavour to meet "the ever increasing demands from people of all faiths and origins for the highest standards of medical attention and patient care." April 1976: Mowlana Hazar Imam paid a surprise visit to Nairobi. Mowlana Hazar Imam and Begum Salimah during their tour in East Africa. Mowlana Hazar Imam and Begum Salimah at a banquet during the East African Tour. Mowlana Hazar Imam and Begum Salimah in a jovial mood. Mowlana Hazar Imam with late President Bhutto. Mowlana Hazar Imam at the Foundation Stone Laying ceremony for the Karimabad Maternity Home on March 17, 1976.